The parties of Gatsby's Long Island mansion were legendarily glamorous affairs. Yet amid the throng of guests, starlets and champagne waiters, their host would appear oddly aloof. For there was only one person Jay Gatsby sought to impress. She was Daisy Buchanan: married, elegant, seducing men with a silken charisma and a 'voice full of money'. The Great Gatsby is my favourite novel, and one of the most perfect I have ever read. Fitzgerald writes stunning, elegant, glittery prose that parallels the glamour of Gatsby's parties immaculately. 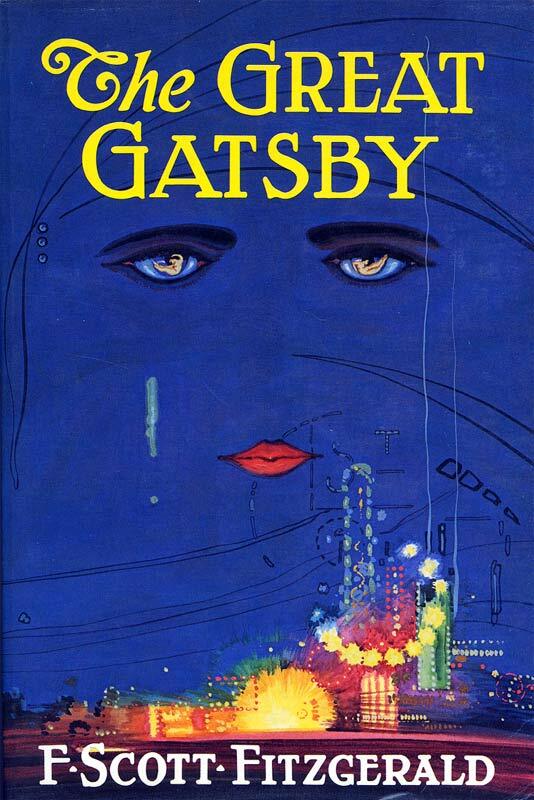 Gatsby is all about pretense, deception, paper-thin relationships and shallow personalities. Fitzgerald shows us an America fallen from grace after World War I. The wealthy, respectable population have lost their moral compass, their social and moral values are decaying, and they are devoting their lives to meaningless, expensive pleasures. The American Dream is dissolving around their ears as a grim result. Fitzgerald explores the social etiquette of the wealthy, and compares those of 'old money' in East Egg, to those of 'new money' in West Egg. He uses the geography of both areas to contrast the social values expressed by individuals. The West Eggers are gaudy show-offs without social grace or taste, whilst the East Eggers are more graceful and elegant, but entirely lacking in heart. Nick Carraway as narrator is likeable in an instant, and becomes our trusted calm in the storm, a voice of absolute reason among the wreckages. He experiences an inner turmoil throughout the book, which isn't resolved until the final chapter. Although the fast-paced lifestyle of sin attracts and excites him, he also deplores it on a more sensible level. His relationship with Jordan is the perfect symbol of his conflict; he finds her sophisticated and intriguing, but is disgusted by her selfishness and habits of dishonesty. I had so much trust for Nick as narrator for this reason; I could identify completely with his mixed reactions, and felt the same throughout the novel. Jay Gatsby himself is originally introduced to us as a stable, polite, well-to-do gentleman. Our narrator is impressed by his lavish home, and his solid charm. 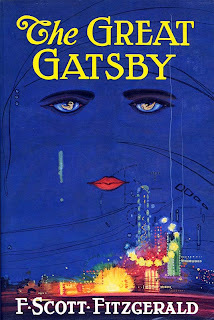 Shortly after this first encounter, however, Fitzgerald begins to deconstruct Gatsby, exposing him as the insecure, tragic creature he really is. We begin to understand Gatsby's past, his rise from pauper to prince, and the reasons behind it; we begin to judge, begin to realise that there's something not so desirable about Gatsby's lifestyle after all. This is a mask designed to hide his inner torment; not only Gatsby himself, but many of his guests are wearing a similar mask. The love Gatsby feels for Daisy is something that really interests me. She really is a loathsome material girl, and although she is elegant, beautiful, and somewhat capable of showing affection, she is a bored, shallow debutante. Gatsby's obsession by her originates in his fixation on wealth and material, and as this continues he believes her to be the epitome of complete perfection. This is a dream which can never be realised, however, and I'd argue that this long hope is the entire crux of Gatsby's fate. Fitzgerald uses many beautiful symbols in the novel, my favourite being the eyes of Eckleburg in the valley of ashes. These were, to me, the eyes of God looking down on the sinners. Fitzgerald does infer, however, that symbols are what we make of them, and I would tend to agree. I could type up my thoughts on this novel all day, but they would never stray from my opinion of it being fantastic; I'll spare you. Every single word is wonderful; Fitzgerald has created something extravagant to match Jay Gatsby's hopes and dreams. This novel is absolutely pristine and one of the greats, without a doubt. I would struggle to name another work of fiction which has been written with such elegance and fluidity, without becoming a cumbersome, excessive read. I feel everyone should have read it at least five times, and be ready to discuss its merits at a moment's notice.